I took NK (neighbor kid) out for a hike today. He's learning about ecosystems and the hike was part of his school work. The intention was to duplicate the 4 mile hike we did last week. From the Spur Cross trail, we should have intersected with the Dragonfly trail. We accidentally missed that, and continued on the Spur Cross trail. My Honey said I made a common mistake: to continue moving forward when at the first sign of something not being right, I should have turned around and gone back the way I came from. NK is quite the little trooper and is a happy hiker. 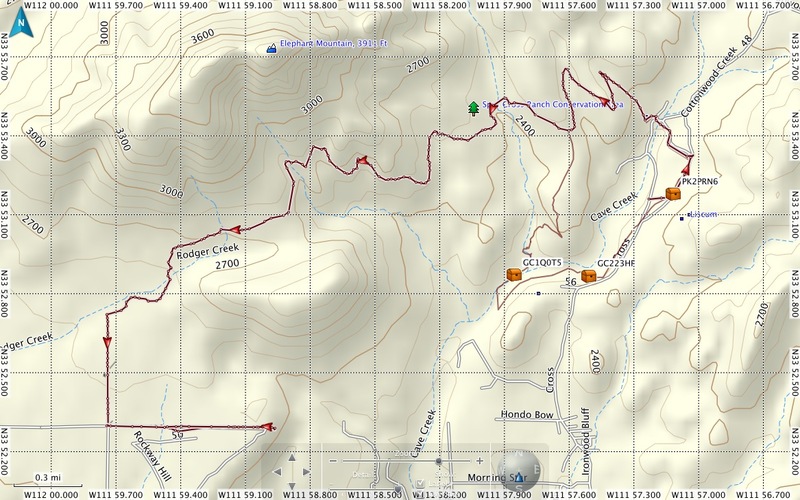 My thinking was flawed in that the Spur Cross trail would loop back around to where we came from. The Spur Cross trail intersected with a Maricopa County trail. My second flaw in thinking was that it might loop back to our intended destination. We had adequate food and water to hike several miles. I parked NK in the shade for a break. I was able to communicate with My Honey via text messages to ask him to look at the online park map for me. My best option was to return the way I came, a seven mile hike. During the rest break, NK was warm and tired (understandably so), and dozing off to sleep. I didn't think it would be fair to push him to do the return hike for a round trip hike of fourteen miles (but if we had, think of the bragging rights!). For a variety of reasons I opted to call for help. We were at a point where the trail intersected with a well traveled dirt road. I thought staying where we were would make it easiest for someone to get to us. My Honey tried to contact the park rangers for me, no luck there. All I really wanted was a ride to back to my truck without a big fuss. The Maricopa County Sheriff helicopter was in the air, and near us, so voila - a helicopter ride back to my truck -- awesome (and humbling). Lichen, part of NK's school studies. Tall saguaros and the moon. Elephant Mountain and Mr. Moon. 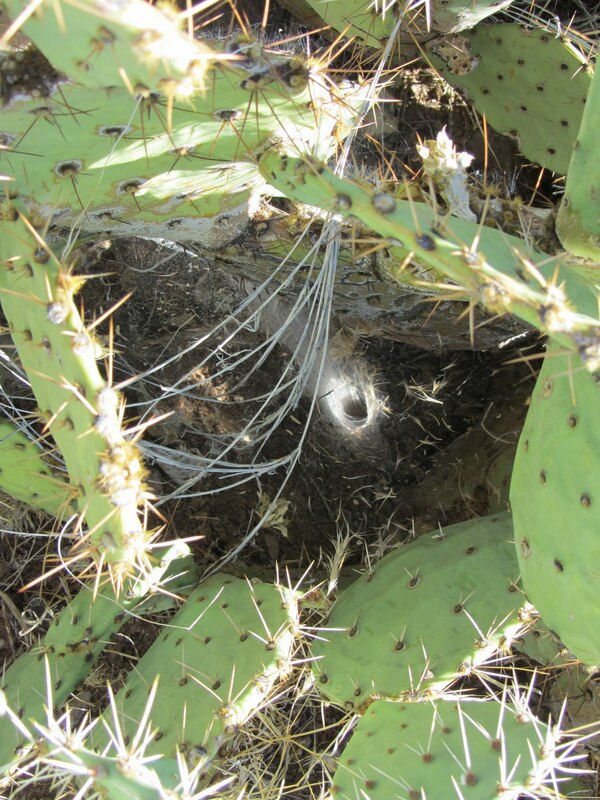 A part of NK's school work was to look for the tarantula we saw on the trail last week and look for its habitat. Last week's tarantula was nowhere to be seen but we did find a lot of spider webs. The (not so) elusive Dragonfly trail marker. We continued on the Spur Cross trail. Getting closer to Elephant Mountain. A dry, crispy, dehydrated sunflower. I thought the rocks on the right side of the trail looked like a mouse head. This is where the Spur Cross trail intersects with the Maricopa County trail. The Maricopa trail, no disclaimer needed here, it really was as flat as it looks. 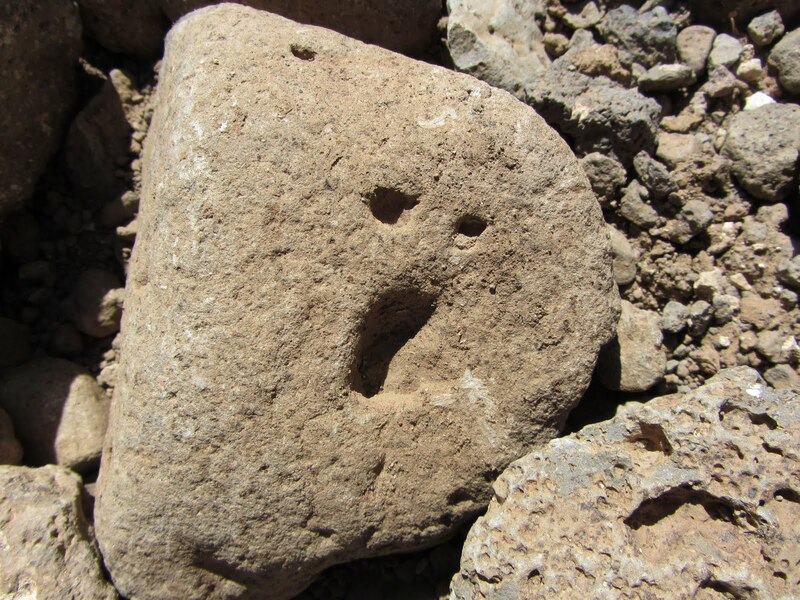 One of the many highlights of our hike - scream rock. MCSO helicopter N119FT. It's a Bell OH-58C (I couldn't find the year of manufacture for this helicopter). My first ride in a Bell. NK's first ride in a helicopter. NK looking down on where we'd hiked. My truck in the parking lot near the trailhead. Good bye, thank you very much!